Valerie B. Geiger is a founding partner of Cucinelli Geiger PC and has been practicing in the field of elder law since 2004 – and working directly with seniors ever since she was in high school. Valerie focuses in the areas of Medicaid planning and estate planning. This includes durable powers of attorney, advance medical directives, supplemental needs trusts, probate, and guardianships, both contested and uncontested. Valerie is on the Board of Directors of the Virginia Academy of Elder Law Attorneys and co-chairs a program for their annual VAELA meeting. 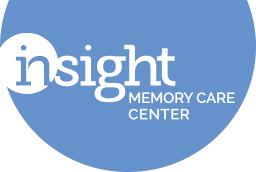 She is also on the Board of Directors of Insight Memory Care Center (IMCC). In addition, Valerie is a member of the National Academy of Elder Law Attorneys, the Wills, Trusts and Estates section of the Fairfax County Bar Association, the Estates, Trusts and Probate section of the District of Columbia Bar Association and the American Bar Association. She served four years on the Probate Division of the Superior Court of the District of Columbia’s Fiduciary Panel, where she accepted Court appointments in the capacity as Counsel to the Ward, Guardian ad Litem, Personal Representative of Estate, Conservator for an incapacitated adult and Guardian for a minor’s property. Valerie is also a founding board member of Elder Pro, an organization that provides a monthly forum for education and networking for professionals who serve seniors. Valerie received her B.A. from Dickinson College in Carlisle, Pennsylvania where she double majored in Psychology and Sociology. She went on to receive her J.D. from Widener University School of Law in Wilmington, Delaware, where she participated in and was a board member of the trial advocacy team. She is licensed to practice in DC, VA, PA, and NJ.